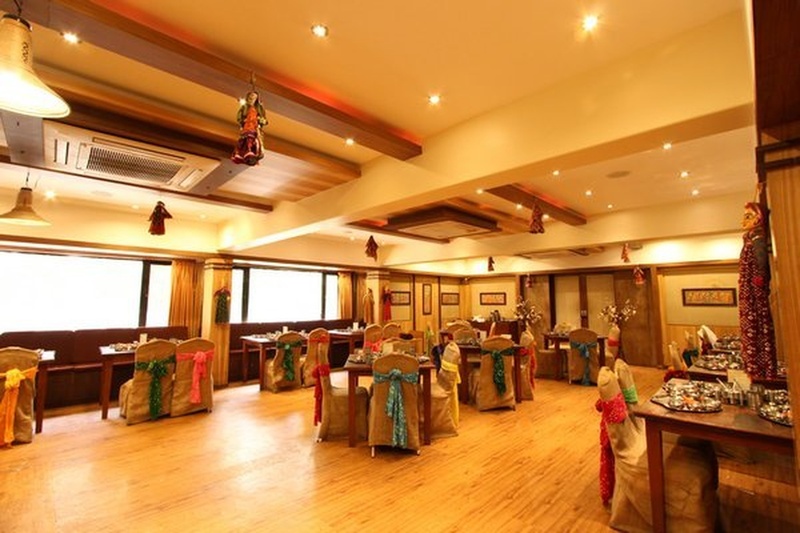 Hotel Shantidoot, Dadar, Mumbai, is a lovely venue to host your private events. Having been in the hospitality business for several years, their services are impeccable. As an additional benefit, the Shantidoot Hotel also has splendid rooms available for the accommodation of outstation guests. The mid-sized banquet hall is perfect for any social gathering. At Hotel Shantidoot, the staff ensure the comfort of your guests, making your event a memorable one. It serves delicious pure vegetarian food to their guests. The decor team at Hotel Shantidoot Mumbai takes care of the decoration allowing you to sit back to enjoy your event. The venue has luxurious rooms for the guests which gives them a comfortable stay. It is ideal for small functions like birthdays, anniversaries and pre-wedding functions. Hotel Shantidoot, Dadar East, Mumbai is also ideal for hosting wedding and reception ceremony. Please Note: The venue has been closed down. The Hotel Shantidoot located in Dadar East, Mumbai has Wedding Hotels and Banquet Halls. Hall can accommodate upto 70 guests in seating and 100 guests in floating. Rooftop can accommodate upto 550 guests in seating and 1000 guests in floating. Vegetarian food is served at this venue. Features of this wedding venues are : Food provided by the venue , Halls are air Conditioned , Baarat allowed , Hawan allowed , Decor provided by the venue , Packages starts at Rs 450 per plate for vegetarian menu and at Rs N/A for non veg menu. Decoration starts at Rs 125000.